Grilled lamb is a meal I come back to again and again. Whether it is chops, a rack or a leg, I enjoy lamb not just on special occasions, but any occasion. 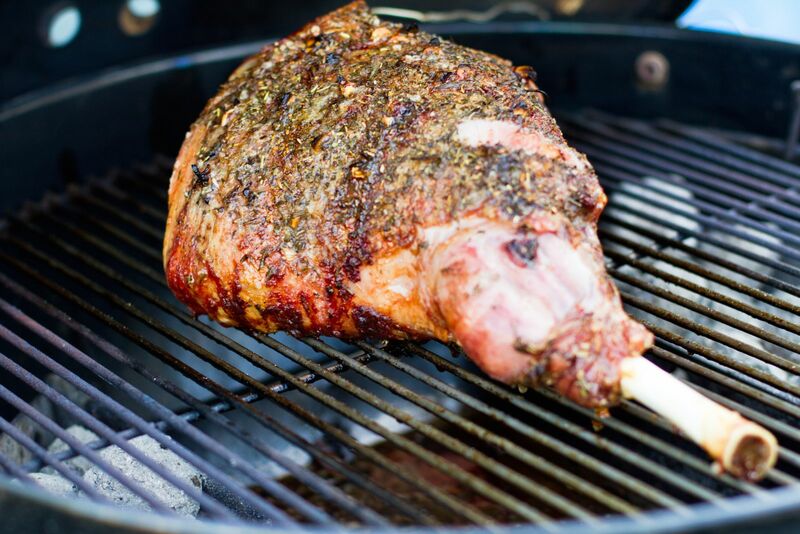 While it may sound daunting, lamb is also very easy to grill, especially the leg. 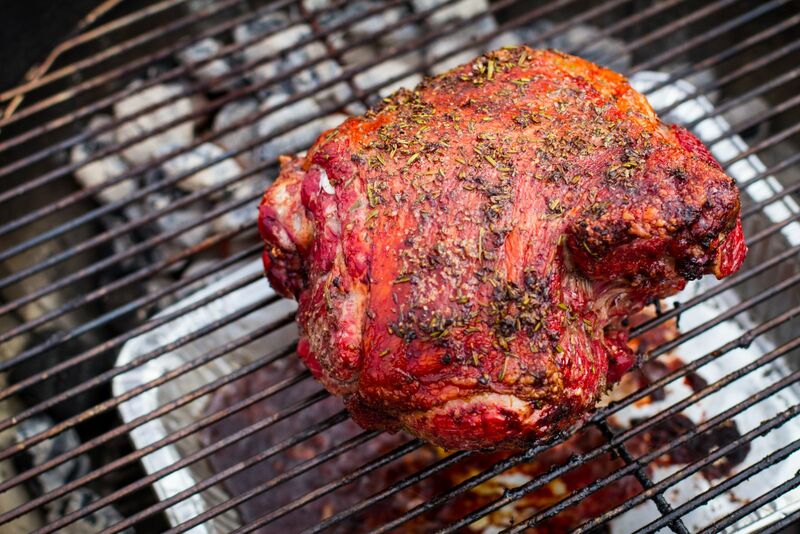 If you can grill a beef roast, you can grill a leg of lamb. You’re halfway there. First off, don’t just think about it, do it. As I mentioned, lamb is easy to grill, give it a shot. Lamb is a meat that really shines when it is cooked to medium rare, around 130-135 F. In order to avoid over cooking, use an iGrill. This keeps the grill lid down while still maintaining an ever critical eye over the grilling process. Keep the grill at medium heat, around 350-450 degrees. I love to grill bone-in meat. There is just something visually appealing to me when I take a leg of lamb off the grill with the bone protruding from the meat. It’s an epic sight and looks great on the dinner table. Of course, while the bone looks cool, it makes carving a little more difficult. If you want to go from grill to table to plate in seconds, boneless is the way to go. While marinades are great, I love a rich, fresh herb rub on my lamb. When it comes to seasoning, your imagination, or the ingredients in your herb garden, are your only limitations. I love to use a thick garlic and salt paste accentuated with fresh rosemary and mint. I always go heavy on the rub, as, on a large lamb, the crust is only a small part of the bite. I want the flavor to carry through. Make a leg of lamb the center of your next feast. You will not be disappointed. The iGrill is an app-connected thermometer that will send alerts right to your phone about the internal doneness of your food. Trust me, you are going to be thankful for this accessory! Use these pans under your lamb to catch drippings and keep your grill clean! There's not much an amazing set of tongs can't do. Move your lamb, or even rearrange charcoal with the greatest of ease. The Premium Tongs have a no-slip-grip and are long enough to keep your hand far from the flame.